I love to cook and bake, but sometimes I just need something quick and easy, especially after a busy day at work or when my weekend is filled with blogging. 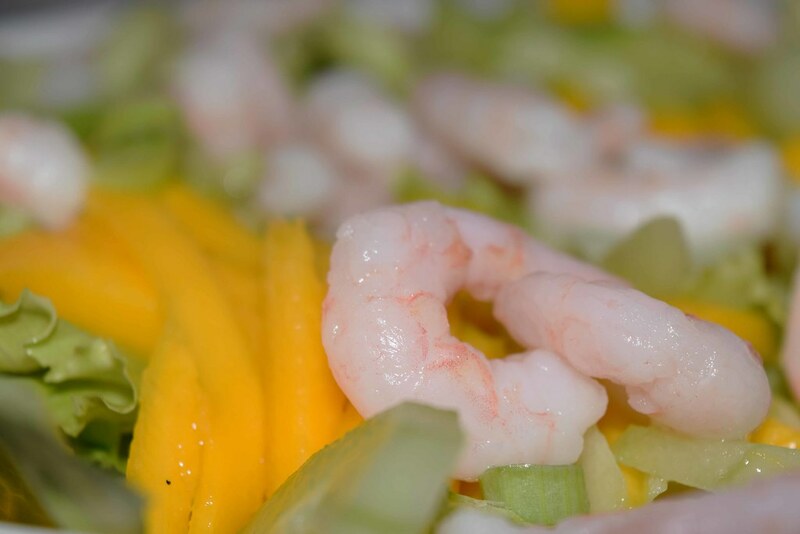 This mango and prawn salad is perfectly nutritious and so easy to make, it’s often on our menu. 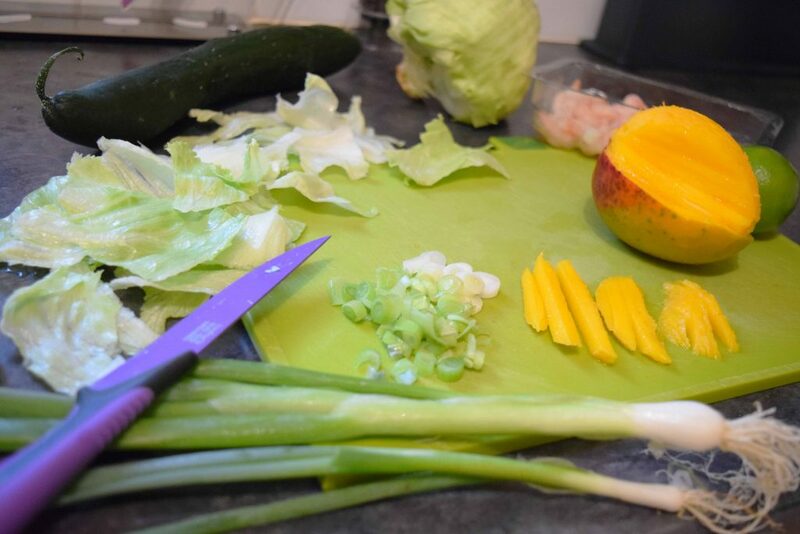 It doesn’t only make Ben happy because he can finally get a salad and some greens (yes, I’m the carb eating one in this relationship), but it also doesn’t leave our kitchen in a mess with only a chopping board, a knife and a bowl to clean. I never really thought about putting a mango in a salad before, but it works exremelly well. 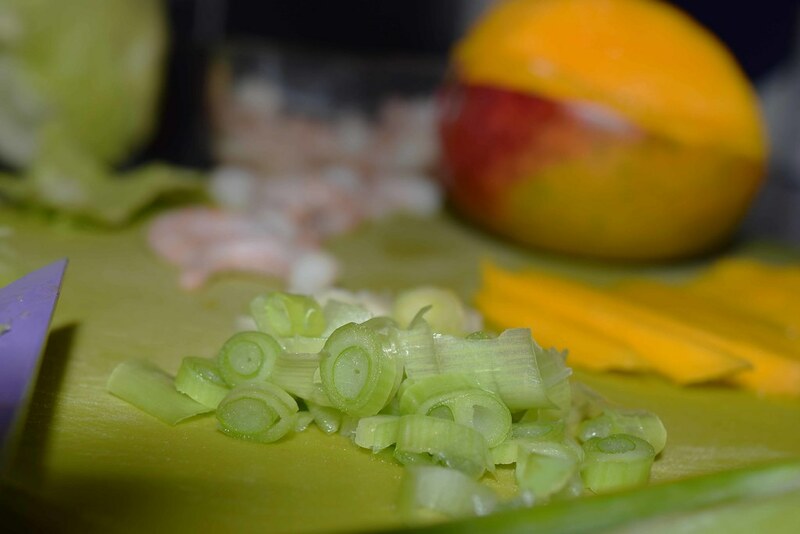 It gives the dish a bit of sweetness and tastes divine in combination with the prawns and the spring onions and the cucumber brings all the freshness you need to the table. 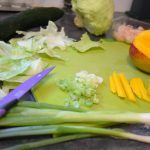 We’re really lucky because our neighbours keep supplying us with their garden produce, so every spring and summer we eat a great amount of home-grown vegetables. 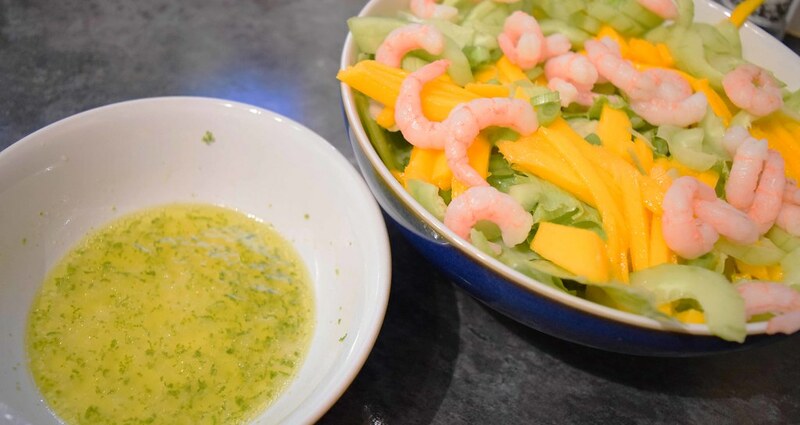 Mango is one of my favourite fruit, so it’s sometimes quite difficult not to eat it all while making this mango and prawn salad, but I do my best. After all, there’s always some juicy flesh left on the seed, which belongs to the chef. 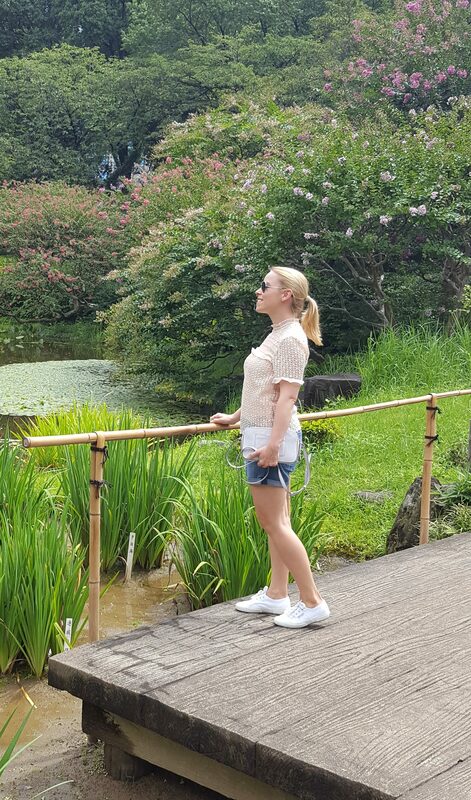 Classy and Kate, one of the bloggers I follow, wrote a great recipe for a mango ice-cream, which looks absolutely delicious, so if you love mango at least half as much as I do, don’t forget to read her post. And this weekend is very vegetable oriented. I’m making stuffed zucchini today, so keep your eyes peeled for more recipes. My love for cooking seems to grow exponentially with the amount of products we get from joseph and Joseph. This is by far my favourite brand for anything kitchen related. Our kitchen is quite small, so the ability to slot the utensils one into the other is an absolute dream. And the designers at Joseph and Joseph have really made it work. You can shop some of the items I use below. If you like corriander, you can put some in this salad as well. I'm not a big fan of it, so I always skip it. 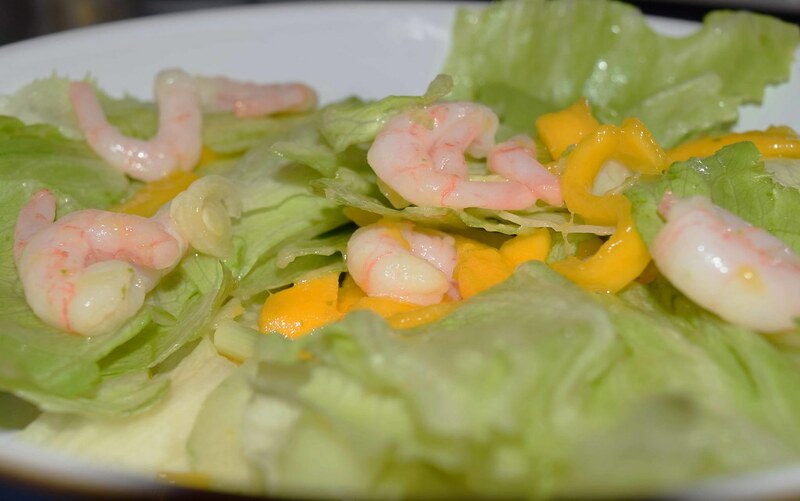 You can also prepare this mango and prawn salad earlier, just keep the lettuce away from other ingredients and don't mix with the dressing just yet as you don't want to make everything soggy. 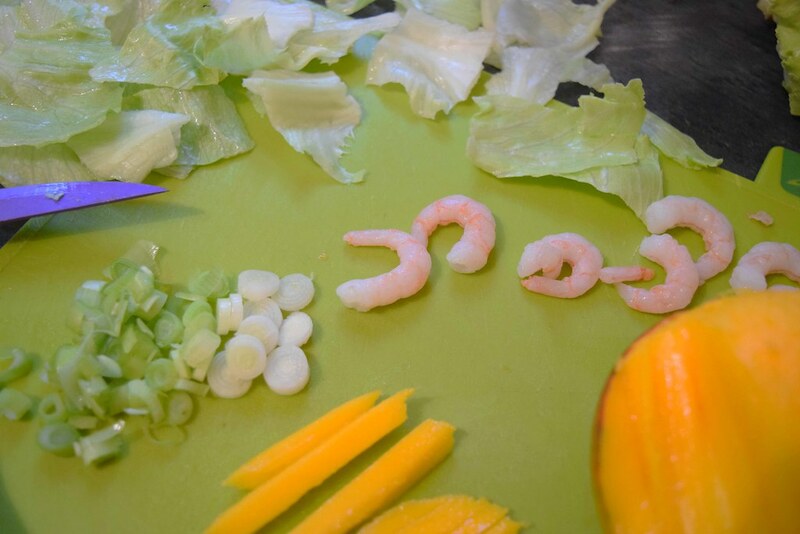 Mix the ingredients and lettuce and dressing just before serving.